Grab your family and friends and celebrate the 20th anniversary of Art in the Square presented by the Southlake Women’s Club April 26 – 28 in Southlake Town Square. Join NBC 5 for this exciting event that offers the viewing and sale of juried fine art from 160 of the best local and regional artists, 6 emerging artists and 100 high school artists. There will be great entertainment on two stages. On Friday night, The Walton Stout Band performs and on Saturday night, A Thousand Horses from Nashville will perform. There will be tasty foods and beverages, and exciting children’s activities. There’s something for the entire family at Art in the Square. All proceeds from the event support programs of Northeast Tarrant County charities. Since the year 2000, the Southlake Women’s Club Foundation has raised over $2,800,000 for these local charities. So don’t miss Art in the Square. Admission is free. 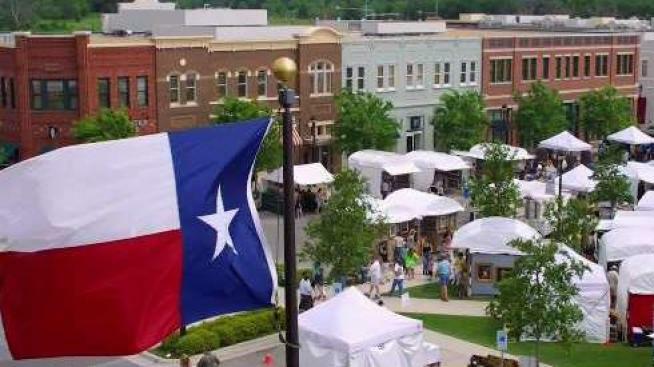 For a full schedule of events visit www.artinthesquare.com.